Giving a major push towards implementing a rational goods and services tax, Finance Minister Arun Jaitley took some steps to make the market ready for the increased tax rate which would subsume all indirect taxes. 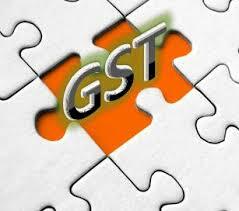 The service tax rate was revised from 12.36 per cent to 14 per cent. The educational and health cess was subsumed in the service tax rate increase. Speaking to reporters, Jaitley said the next call of action on GST would be appointment of a new chairman for the empowered committee on GST. Amid high expectations on tax reforms, there was one item that the companies wanted but were really not expecting from the Budget -- reduction in corporate tax rates. Taking captains of industry by surprise, Jaitley announced the revision of corporate tax from 30 per cent to 25 per cent in four years. This will, however, not be applicable for 2015-2016 -- it will kickstart from FY17. “We wanted to give the corporate a notice period of one year to be ready,” stated the finance minister. The reduction in corporate tax rates would be complemented with removal of specific exemptions in a phased manner. “Work to remove the specific exemptions and the timeline for the reduction of corporate tax would begin now and some of these exemptions might be announced during the year,” said a senior finance ministry official. “I would not refrain from calling it a big-bang Budget, as we were not expecting any announcement on corporate tax. “The finance minister also rightly pointed out that the specific exemptions were one key reason for tax litigations in India. “By these announcements, corporates have indeed been incentivised for investments,” said Pratik Jain, partner, KPMG. Gross tax receipts are estimated to be Rs 14,49,490 crore (Rs 14,494.9 billion). The states’ share is estimated to be Rs 5,23,958 crore (Rs 5,239.58 billion). The Union’s share will be Rs 9,19,842 crore (Rs 9,198.42 billion). Non-tax revenues are estimated to be Rs 2,21,733 crore (Rs 2,217.33 billion). What came as a relief for the corporates is the deferment of the General Anti Avoidance Rule to 2017, one area Indian businesses were not ready yet. According to some experts, this Budget cannot be termed reformist. “Expectations with regard to increase in tax slab rate for individuals, lowering minimum alternate tax rates or incentives for manufacturing sector have not been met,” said Neeru Ahuja, Partner, Deloitte Haskins & Sells LLP. Putting an end to speculation about the Direct Taxes Code, Jaitley said he would put the Bill in cold storage. A lot of the recommendations of DTC have already been incorporated in the Income Tax Act. “There is no great merit in going ahead with the Direct Taxes Code as it exists today,” Jaitley said in his speech. To incentivise domestic manufacturing, the finance minister made announcements on the indirect tax front which are expected to yield Rs 23,383 crore (Rs 233.83 billion). The minister removed the anomaly of inverted duty structure in sectors such as electronics, steel and chemicals. A lot of revenue is projected to come via cess, which goes only to the Centre’s kitty and is not shared by states including road cess by way of duties on petrol and diesel. A yoga cess and an enabling provision of Swachh Bharat cess at two per cent were also mentioned.